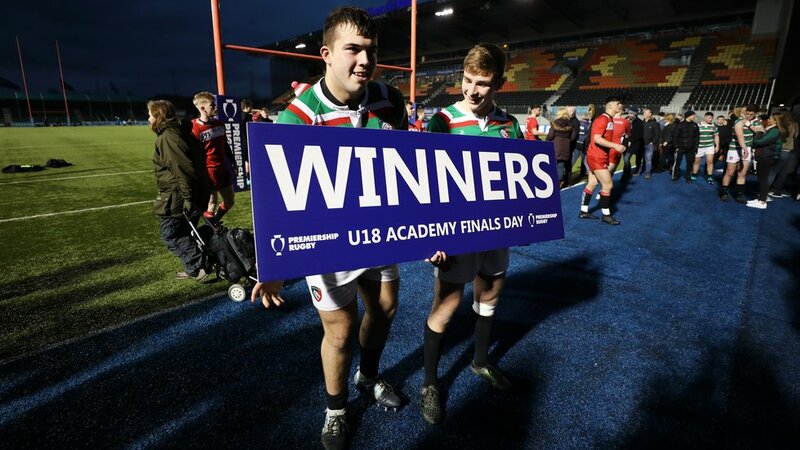 Jack van Poortvliet (right) celebrates with James Whitcombe (left) following the Tigers Academy's Under-18 league win earlier this season. The scrum-half started Tigers' 38-24 Prem Shield win over Sale Jets on Monday night. 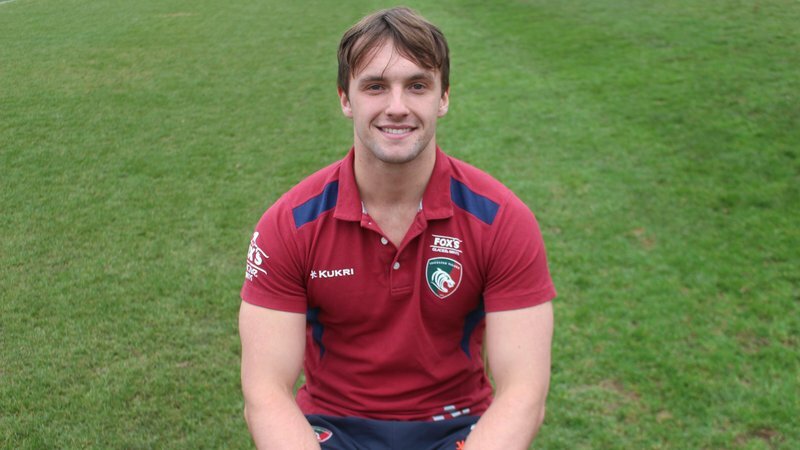 Tigers Academy scrum-half Jack van Poortvliet will be leaning on his experience in a green, red and white shirt when he starts for England Under-18s against Wales later this afternoon. 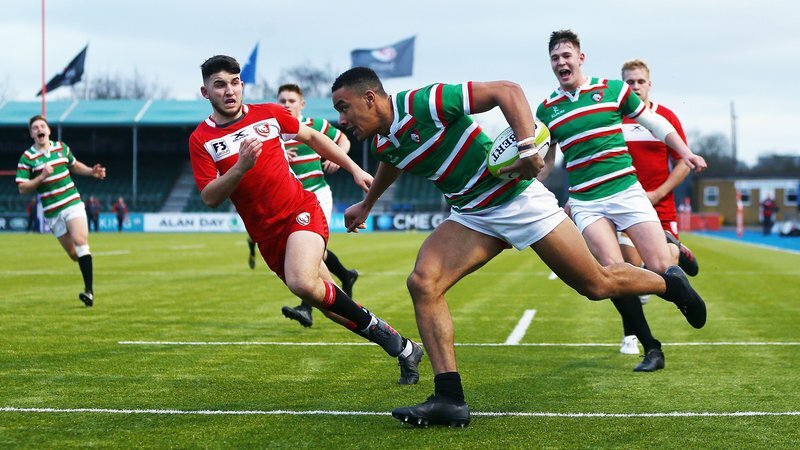 The 17-year-old – who played a key role in the Academy League title double – has featured in a number of Premiership Shield matches this season and is one of three young Tigers in England’s starting squad at Hartpury, with kick off at 2.10pm. And it’s that experience that the Norfolk-born player will be relying on when he pulls on the Red Rose in the first of three Six Nations Festival fixtures on Saturday. 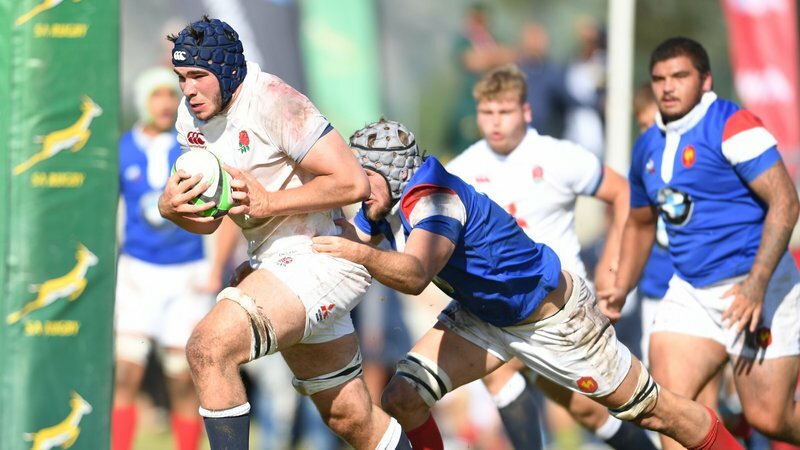 England Under-18s head coach Jim Mallinder has named a squad of 27 players to take on the Six Nations Festival, with Leicester lock and captain George Martin the only player retained from last year’s competition. Tigers flyer Joe Browning also starts on the wing. Van Poortvliet added that the experience he gained in the win over Scotland and defeat to France earlier this season will also come in over the coming weeks. He continued: “It was a good experience. We started really well against Scotland, and then it was a good experience against France. “It’s all exciting and now we’re looking forward to the Six Nations. The scrum-half’s family were present for Monday night’s Shield fixture against Sale Jets at Loughborough, and Van Poortvliet is hopeful they will be able to make the journey to the West Country to see him gain another England age-grade cap. Kick off at Hartpury is scheduled for 2.10pm, with live coverage provided by FreeSports TV.